Describe your favorite experience with SBS. – Maddie does a lot of community outreach, with the SBS Biology Graduate Student Association and as part of departmental recruitment events. What are your post-WSU plans? – “My primary research interest is environmental epigenetics,” she says, which leads naturally to the pursuit of a PhD. Eventually, Maddie might work with conservation works or a university. “I’d be really interested to better our understanding of how humans are influencing the environment and how that in turn is affecting the physical expression of genes in species,” she says. Madison’s taking advantage of all the opportunities available to SBS undergrads: involvement in faculty research, community outreach, and more! If you’d like to know more about how to get involved, contact us at sbs at wsu.edu today! Kara McClanahan saves bats in her off time. 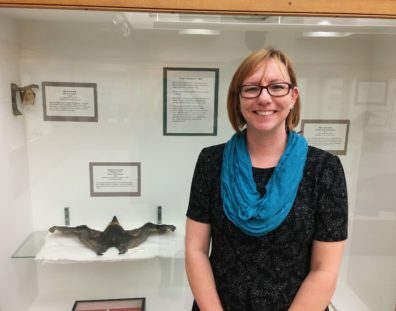 The Instructional Lab Supervisor for SBS grew up in the southwest, which is where her love for bats arose — the climate there is warm and dry making it the perfect environment for many bat species. McClanahan spent part of her childhood in the subtropics of Japan, where she first saw fruit bats. She found it fascinating that such little animals could create such a demonic ideal in people and in the media. After receiving her bachelor’s degree in zoology from WSU, she looked to WSU faculty member Mike Webster for guidance on continuing graduate studies here. Webster studied animal behavior, specifically birds, and became McClanahan’s informal “genetics advisor”; he put her in contact with Christine Portfors a WSU Vancouver professor who became McClanahan’s “bat advisor”. McClanahan’s and Portfors’ studies on foraging bats in Central Washington looked at identifying what insects bats were eating by looking at the DNA in bat feces. Though her days of bat research are behind her, she still participates in all things bat around campus. It is not unusual for the police, animal control, or environmental health to call in need of her bat rescuing expertise. McClanahan has her rabies vaccinations, which is one of the reasons she is often called when a bat is trapped indoor. Bats that are trapped inside are typically roosting on a wall or in a doorframe. She sneaks up on them and grabs them with leather gloves before taking them home to be fed and given fluids. The bats will fly away within a couple hours. She is in the process of acquiring a license for bat rehabilitation, which will make it so she can help bats with injuries and hold them for longer rehabilitation periods if necessary. One of her most difficult bat rescues occurred in Webster Hall. All she knew was that there was a bat in the stairway; Webster has 14 floors. After making it to the top floor, she found the bat flying around the ceiling of the stairwell. Having nothing but the plastic aquarium and towel that she uses to transport the bats home, she decided to try throwing the towel in the air in hopes of it driving the bat down. The bat swooped down to avoid the towel and landed on the floor, lucky for her she was able to grab it safely. So, what do you do if there’s a bat in your house? According to McClanahan, if a bat is found indoors and is just resting and hanging out during the day, it means it’s just seeking warmth and safety. The bat will fly back outside at night. They are creatures of habit, and will try to return to the safety of indoors. Once the bat has flown out, cover the entryway and put a bat house outside. 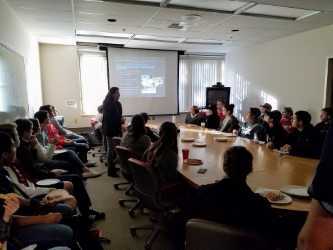 School of Biological Sciences hosted a very rewarding Research Night on Thursday, October 5th. Research Night was an opportunity for faculty and undergraduate students to come together to find shared research interests. The night included five faculty presentations as well as free pizza and mingling between faculty and undergrads. The faculty who presented was Dave Evans, Erica Crespi, Joanna Kelly, Jesse Brunner, and Wes Dowd. Undergraduate research experience is a priority at SBS as a R1 PAC 12 research school. Students were interested in learning how to get started in research labs and the first steps that need to be taken. “Undergraduates contribute immensely to my research programs looking at how the environment affects early development. Having undergrads in my research lab benefits myself, but also the students because it helps teach them how to think critically. I have had many undergrad students as co-authors on my papers and then go off and do great things,” said Dr. Crespi. Since the first Research Night had such a successful turnout of about 50 students, there will be another Research Night sometime in the near future. It will be bigger with more faculty lab presentations, and different research opportunities. A School of Biological Sciences research lab, the Cousins Lab, was part of a multi-institutional team awarded a $16 million, five-year grant from The U.S. Department of Energy. The grant was lead by PIs in the Donald Danforth Plant Science Center with the aim to enhance sorghum for bioenergy. The research teams are hoping to answer if sorghum (a drought and heat resistant grass) that can be further enhanced to increase photosynthesis and water use efficiency. The project aims to deliver stress-tolerant sorghum lines, addressing the DOE’s mission of renewable energy sources. Dr. Asaph Cousins’ team will be focusing on biochemistry and detailed leaf level physiology. The team’s research will begin with screening for natural diversity in photosynthetic water use efficiency using stable carbon isotopes. They are trying to identify genetic controls of water use efficiency by screening populations of sorghum and mapping these traits to identify their genetic control. They are also taking a focused look on how enzyme activity and kinetics control rates and efficiencies of photosynthesis, and how they may be influencing differences in photosynthetic water use. Dr. Cousins and his team at WSU are one of six multi-disciplinary teams. The other teams are from the Donald Danforth Center, the Carnegie Institution of Science, University of Rhode Island, University of Illinois, University of Minnesota, and the United States Department of Agriculture. The teams bring together a range of specialties from plant physiology, genetics, molecular biology, informatics, computational biology, and genetic engineering. The WSU includes one graduate student and one postgraduate student, and they are looking to add one more graduate student. “It’s exciting to have five years of funding and to be able to pursue questions that we might not be able to otherwise in a short time frame. 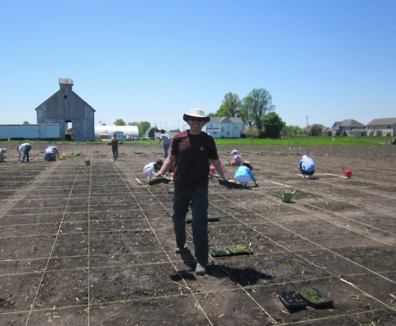 It also provides opportunities to collaborate with other areas of plant sciences and address these research questions from multiple perspectives and angles. This is a very interdisciplinary project”, said Dr. Cousins. Large research grants like these are furthering WSU’s goal of drive to 25, to become one of the top research institutes in the nation by 2030.
e pine siskin, which is found here locally. She’s looking forward to being close to her research subjects. She has lived all over the country getting her B.S. at Duke University and her Ph.D. from Michigan State University. WSU has a tradition of great research on avian biology; Dr. Watts aspires to continue that and to share her research with the community. She hopes that her students come away from her courses with a better understanding of how to think like a scientist and to approach questions scientifically. 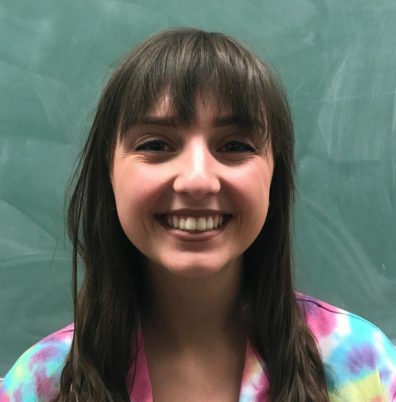 One of her goals is to help students connect what is being taught in her courses to their everyday lives. They’ll leave her courses more informed about the topics that are relevant for their lives today or in the future. Tri-Cities WSU School of Biological Sciences is happy to have Dr. Tanya E. Cheeke as a new addition to their team. Dr. Cheeke is looking forward to getting her new lab set up and helping to train students in ecological research. 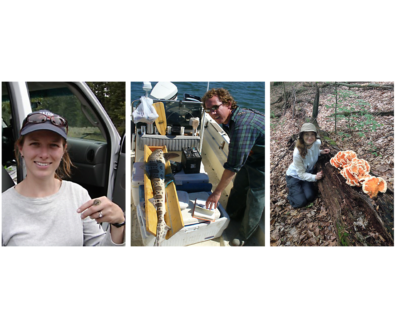 She specializes in ecology and evolution of plant-mycorrhizal interactions within the context of a changing environment through disturbance, climate, or biological invasions. She’s from Corvallis, Oregon with a B.S. from The Evergreen State College, a Ph.D. from Portland State University, and post-doctoral training at the Swedish University of Agricultural Sciences and at Indiana University. Being from the Pacific Northwest, she is excited for to the research opportunities in this region. Dr. Cheeke hopes to impart a love of science and an appreciation for the natural world through her courses. Her teaching methods include hands-on research opportunities in her classes to help prepare students for graduate school and a career in science. Her future projects include examining microbiomes of grapes and hops, and using symbiotic fungi to help native plants get re-established in the Palouse prairies. WSU Pullman School of Biological Sciences is eager to welcome Dr. Wes Dowd to campus. Dr. Dowd is a comparative animal physiologist, primarily interested in environmental effects on how animals work. He specializes in studying animals that live in very variable environments, like the rocky intertidal zone on the coast where temperature, pH, oxygen, and other variables can change dramatically throughout the day. He grew up in Virginia, spending his summers on the Chesapeake Bay, which is where he first developed an interest for marine life. Dr. Dowd just moved to Pullman after spending 13 years in central and southern California. He is looking forward to building up his lab group with undergraduates, graduate students, and postdocs. Being a member of the WSU community, he hopes to bring new opportunities for students and others to engage in marine-oriented research and education. He thinks that as a citizen and patron to the scientific enterprise, everyone should appreciate the value of studying and understanding the natural world beyond us. Some of the most important discoveries that pertain to the human condition start with descriptions of unusual observations in non-human systems. He also believes that there is inherent value in biological research even if it doesn’t directly benefit humans, and that we don’t always know how important scientific discovery is until later on.